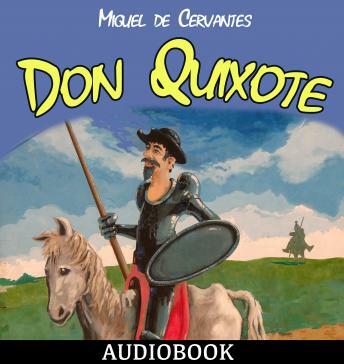 Widely regarded as the world's first modern novel, and one of the funniest and most tragic books ever written, Don Quixote chronicles the famous picaresque adventures of the noble knight-errant Don Quixote. Don Quixote has become so entranced by reading romances of chivalry that he determines to become a knight errant and pursue bold adventures, accompanied by his squire, the cunning Sancho Panza. As they roam the world together, the aging Quixote's fancy leads them wildly astray. At the same time the relationship between the two men grows in fascinating subtlety. Often considered to be the first modern novel, Don Quixote is a wonderful burlesque of the popular literature its disordered protagonist is obsessed with.